The newest Mac operating system, macOS 10.14 Mojave, went live yesterday. The big question is, does Lightroom work? The good news is Lightroom Classic 7.5, Lightroom CC 1.5 and Lightroom 6.14 (and as-yet-unreleased later versions) do work on Mojave, with no known issues at this time. Older Lightroom versions are not supported, and will not be updated. They haven’t been extensively tested on the new Mojave operating system, but many people reported that they crashed regularly on High Sierra, so that is likely to continue. Lightroom Classic 8.0 and CC 2.0 are resulting in some performance issue reports that appear to be limited to Mac Pros. There are some known issues with the current shipping version of Photoshop CC 2018, however there are also workarounds. Here’s Adobe’s official announcement on Mojave compatibility. The latest driver is reported to work, but you have to tweak a security setting. The instructions are on Wacom’s site. As always, it’s still sensible to wait for real-world feedback before upgrading mission-critical computers. It’s likely that additional issues will be discovered when a larger number of people are using Mojave. If any significant Lightroom issues are reported, I will update this post. Good to know you are always there for us. I’m running Mojave and latest Lightroom Classic CC on a 2017 iMac. It has become painfully slow in Mojave when I press “F” to view previews in Full screen. Takes about two secs to switch between pics, even i f previews already exist. It goes instantly in Loupe mode. Do you experience this? After problems with my computer I reinstalled the Mac OS but now it’s updated to Mojave and it won’t let me reinstall LR6, just reports there is a ‘problem’. Photoshop 6 install fine. Any thoughts on why LR6 won’t install? (As I only use these as a hobbyist and intermittently I’m not upgrading). What kind of problem does it say there is? Does it give further information? I am having issues with the Import module. The module pops up when I use CMD Shift & I but the sidebars in whatever module I am in is over the top of the Import module (hiding the Import button). I can kind of work around it by clicking on the import module and pressing enter but it doesn’t allow me to add Custom Text. I’m having issues with LR not displaying the side bars (no I don’t have them hidden) and also I can’t get the top bar to show the red/orange/green dots, it will flash up for a second and then just the main mac menu bar is accessible…I can’t get out of Full Screen that way. Sometimes the side and bottom bars display properly but just reopened LR and now they don’t. If I switch to Import they show but switching between Develop and Library I get just black on the side and bottom bars. Anyone else reporting this? I’m seeing a couple of odd reports around full screen mode like this one https://feedback.photoshop.com/photoshop_family/topics/lightroom-7-5-macos-10-14-title-bar-disappears-on-entering-full-screen-sometimes , but nothing I’ve been able to reproduce so far. I have just installed Mojave on my MacBook Pro, and sadly I cannot get my sliders to work as usual: Normally I use the sliders by hover/drag with three fingers (which is sooo convenient for me). I have tried turning various trackpad functions on and off, but nothing has helped so far. Hmmm, a three finger gesture isn’t a standard Lightroom gesture. Perhaps you were using something like BetterTouchTool and it needs updating? It just struck me, that maybe by brain is fooling me: On the iPad a two-finger swipe works on the faders. I might just be longing so much for that feature on my Mac. No reason it should not exist. after I installed Mojave on my MacPro I can`t manage to install LR tether plug in 1.3.0. It just doesn’t show up in LR plug in manager. Do you know if the LR Tether Plug in is compatible with Mojave? Pentax 645z. Sorry I didn’t specify it before. It would be worth dropping Ricoh a line to see if they can get it updated, as it’s not one that ships with Lightroom. Lightroom plug-ins aren’t generally affected by operating system updates, but tether plugins must use OS components to talk to the camera. It looks like Fuji have just had to update theirs for the same reason. That’s more than annoying! Can you tell us the exact message though? In case it isn’t actually Mojave? That does sound frustrating. But it sounds a lot like a hardware problem that’s causing catalog corruption rather than a Lightroom one. Where’s the catalog stored? Internal drive? External drive? Something broke the colour management in the latest Lr release when running in Mojave. Basically prints were not printing with accurate colour. Following some Googling, the advice at Luminous Landscapes to delete the printers, delete the drivers, restart and then re-add the printers (Mac OS then reports the missing software and re-installs the drivers worked for me. Have you updated to 6.14? I have an odd problem and don’t seem to be able to resolve it? On holiday, I put all pictures from memory card onto 2 external hard drives so I start each day fresh. I also keyword and structure each location into a separate file. However, on return home this time … although the pictures have transferred across to the larger hard drives on my iMac … the keywording hasn’t moved with them. Any ideas or help would be appreciated? Thanks for the great site and resources. The information is stored in the catalog, so you’d need to copy the laptop’s catalog over to the iMac and use Import from Another Catalog to transfer it into your iMac’s catalog. There’s step by step instructions on page 413-415 of my LR Classic book. I just installed Mojave and can still open LR 6 — but– it has alas “lost” or “forgotten” all my old settings, catalogues, etc. It is like a “virgin” version of LR6. Any idea how to fix this? Find your catalog on the hard drive – it’ll have a .lrcat extension – and double click on it to open in Lightroom again. Depends on which version of Lightroom you’re using. What happens when you try? And which LR version is installed? I have installed Mojave 10.14.3 and I upgraded lightroom to 8.2 release a couple of days ago. Now the fan on my Macbook Pro gets very loud and the laptop gets hot. This is a new problem. I unchecked the graphics processor in the general tab under preferences in lightroom and seemed to help a bit. The processor on my MAC is 3.1 GHz intel core i7. Memory is 16GB 1867 MHz DDR3 Graphics is Intel Irs Graphics 6100 1536 MB. Also when I add a new folder under my main picture folder – lightroom doesn’t see it so I can import the pictures. I often have to reboot my machine and then it will see the folder. Doesn’t make sense to me. Check Activity Monitor app to see what Lightroom’s doing at the time. And click on the ID plate to see whether LR’s busy doing something. I suspect it’s syncing or something like that. I upgraded my iMac to Mojave. I have also installed Adobe Photoshop CC and Lightroom CC. None of my old LR catalogs (on External Hard drives) are accessible in the new Lightroom CC platform. Is there an incompatibility issue? If so, what can be done? This is an epic fail. 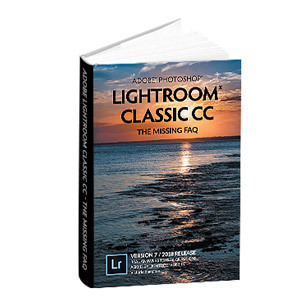 I assume by Lightroom you mean Lightroom Classic CC? 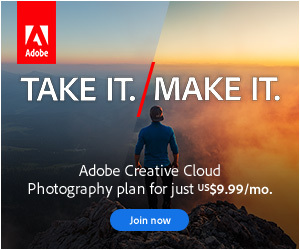 Not Lightroom CC which is the cloud version? If you subscribe to the Photography Plan and have been using Classic, have you downloaded CC by mistake? If so, just download Classic. Let us know if that’s not the issue so we can help more though! Where are they stored Don? And are you getting an error message? I’ve seen a few reports of people storing their catalogs on an NTFS formatted drive and using an extra app to allow macOS to write to that drive format, which then stopped working when they upgraded to Mojave.